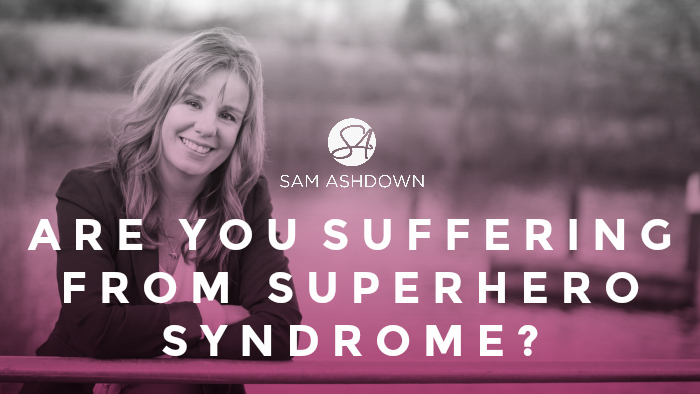 Are you suffering from Superhero Syndrome? Do you believe that you are literally the only person in your business who can do things the right way? You’re not alone. I recently wrote about how to delegate, as it’s something small business owners really struggle with. If you’re an independent, single-office agency, then you have no doubt had to be Jack of all trades, but being master of none can be a problem. Once you have your three lists, then you can plan how you’re going to delegate them, because whilst you’re doing things you hate, can’t do, and shouldn’t do, you aren’t doing things you love, can do and should do! What’s on your three lists? Even raining in sunny Shropshire today! I hate filing and all physical files – isn’t that what digital is for? I struggle with I can’t – there is no such word as can’t – you have to be creative and find a way! I shouldn’t be researching information for sales particulars – and so I am now writing a brief, identifying the sort of person I need to expand the business and revising the business plan to justify their recruitment. Hope all is well with you in Cumbria.